The North American Sheep Industry is rediscovering Tunis Sheep, a heritage breed that has lots to offer modern sheep production. While we have recently been introduced to Tunis sheep, our family have been producing and showing sheep for 80 years. 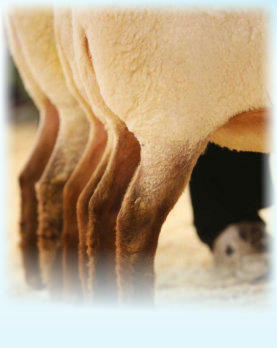 In the 6 years we have owned Tunis we appreciate these sheep tremendously for the qualities that this breed offers. This breed has so many strengths for any breeder who wants quality purebred sheep on their farm or using them for crossing with other breeds for a superb F1 maternal cross. Comfort Tunis have excelled in quality from every angle: in the show ring, in production records for growth, maternal productivity, twinning and ability to lamb year round. Tunis originate from a desert breed giving it feed efficiency and the ability to keep their flesh in grass managed settings even during lactation. You can count on the ewes to be docile, nurturing mothers. Our sheep consistently have strength from the front to the back with good loin depth, hind leg muscling and strong front ends. We invite you to take some time to see our sheep, our successes and our reasons for why Tunis will benefit your flock.